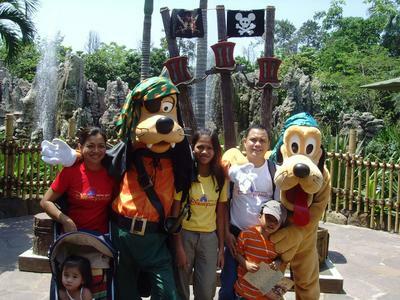 Having fun with my family at HK disneyland was one of the glowing events I have experience so far in 2007. It's really heart-pumping when you see your kids hugging almost all the disney characters like mickey, DD, Pluto, and the rest of the gang. The addition of Pirate's Land last summer surely put disney ahead of everything. And they have look-alike Jack Sparrow, who is more rugged and handsome than the hollywood icon Johnny Depp. Their princess and beauties were really awesome that for one day, you thought that you are in fantasy land. PS. More power to Dondops and his family! Cheers! This information is very useful.ilove this post.these tips are very easy to understand for new traveler. Thank you for sharing to us your very inspiring disney experience, it's awesome! I know people will love and get more excited on their vacation to Hong Kong Disneyland when they read this page. Please extend our warm regards to your whole family.